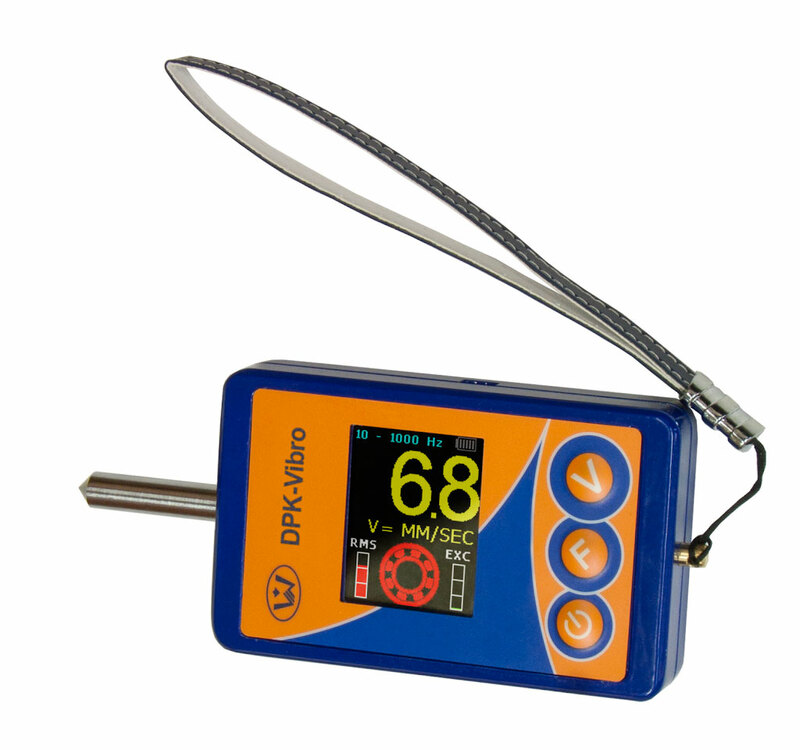 We manufacture "DPK-Vibro" device for you to always know the condition of your equipment. The device measures the integral parameters of machine vibration using the built-in vibration sensor. Such measurements can be performed for the acceleration A (m/s2), velocity V (mm/s) and displacement S (um). The parameter type is chosen by the user. The vibration measurements are performed in the standard frequency range from 10 to 1000 Hz. For some types of low-speed rotating machines the task is measuring of low-frequency vibrations. This frequency range is not standard. 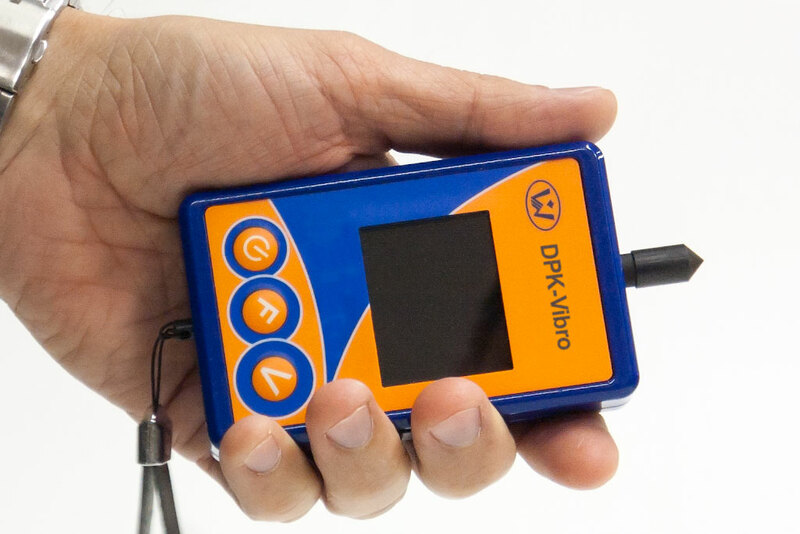 "DPK-Vibro" allows low-frequency vibration measuring in the range of 1 ÷ 200 Hz. the parameter analysis of the shock pulses from various defects at the rolling surface of the bearing. After mathematical processing of the measured shock pulses, the device gives a conclusion on the bearing rolling surfaces condition. In the diagnostic mode a graphic representation of a bearing is displayed on the device screen. Additionally, to the left and right of the bearing, the measured signal RMS and Kurtosis value (the intensity of shock pulses in the controlled bearing) are shown. High Kurtosis value indicates the presence of internal defects. 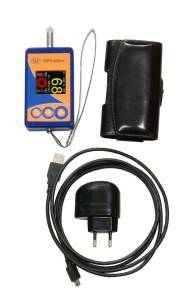 In the diagnostic mode the information about the bearing condition is displayed in digits. Besides, the bearing condition is indicated by the speed of the graphic bearing rotation and its color change (green, yellow or red). The colors of the RMS and Kurtosis bars change as well. 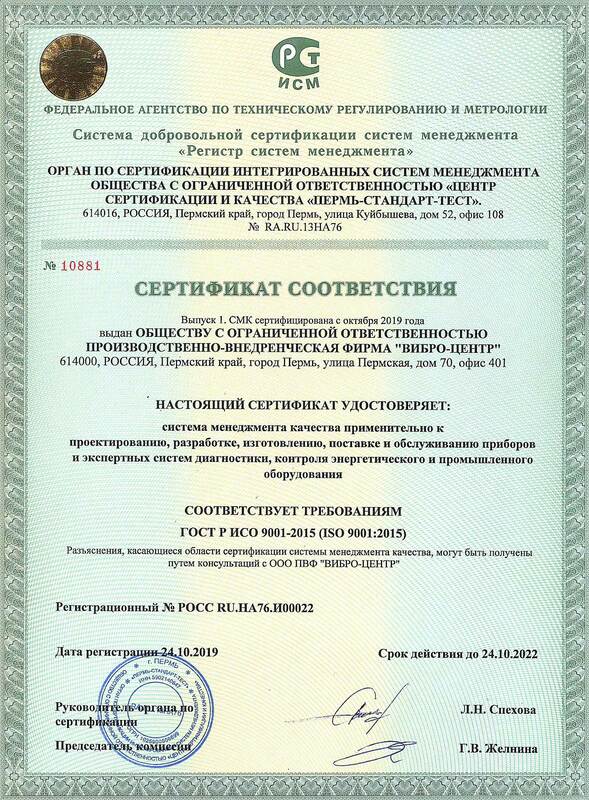 "DPK-Vibro" allows effective diagnostics of the rotating equipment defects. The user can view and analyze both the vibration waveform and its spectrum. In the vibration measuring and equipment diagnostic mode the vibration waveform and its spectrum are displayed in the bottom part of the screen. This information is very useful, as it allows identifying almost all the typical defects of rotating equipment. The signals and spectrums can be stored in the device memory for downloading to PC and for further in-depth analysis. The device allows storing up to 50 waveforms and spectrums. "Aurora" and "Atlant" expert software developed by Vibro-Center are used for data analysis. The software can be downloaded free from our website.